You love yarn, want to take that next step and spin your own? Well we have a class for you on your yarn making journey. 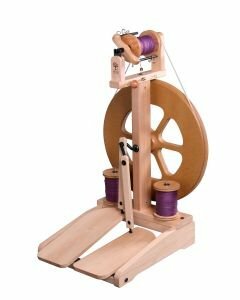 Learn the basics of using a spinning wheel, fiber prep and spinning singles. Instruction is given in the first class. You are invited back the following month to practice while the instructor is in the shop. Materials Included: Use of a Spinning wheel and practice roving. 10% discount on purchase of wheel at conclusion of class.